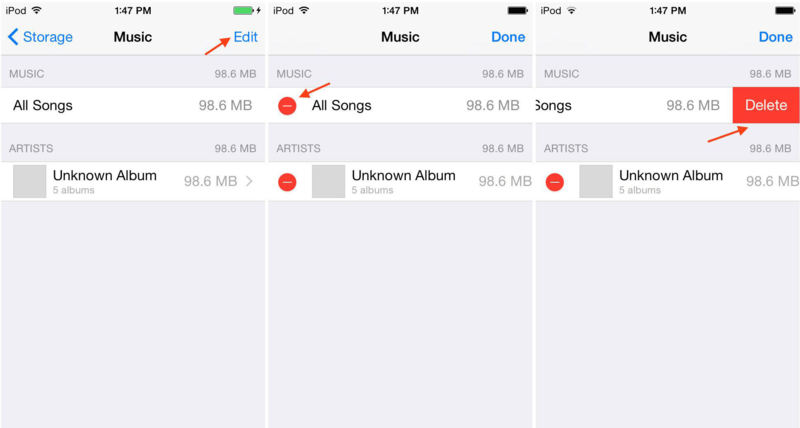 How to Delete Songs from iPad Quickly? Every iPad comes with limited storage space. 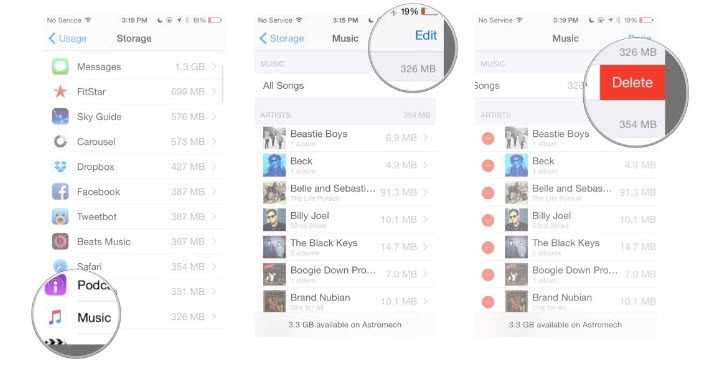 And, if you’re a music lover, there are high chances that your iPad storage is filled with songs and music. If you feel that now is the time to give the iPad storage some breathing space by deleting unwanted songs, we’re here to help you. 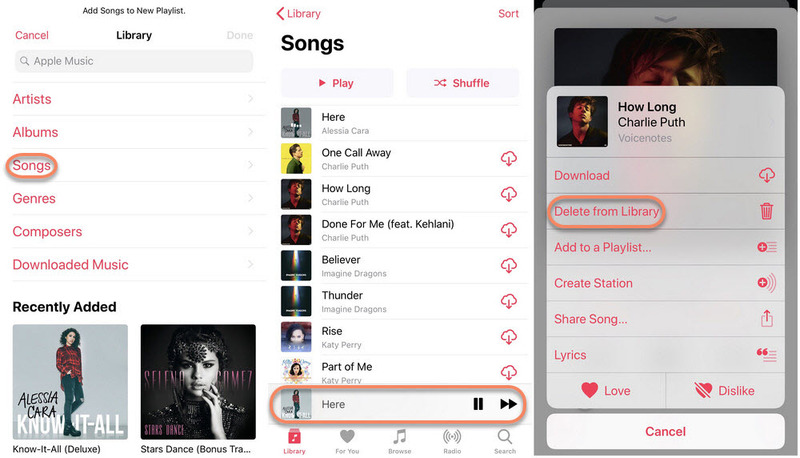 In this article, we will talk about different ways to delete songs from iPad. Read on to know more. iMyFone TunesMate is an incredible solution to manage music files, audio files, audio books, podcasts, and a lot more from your iPad. If you use TunesMate, you won’t be required to skim through your music files and get rid of them one by one. In a few steps, you can easily delete songs from iPad using iMyFone TunesMate. 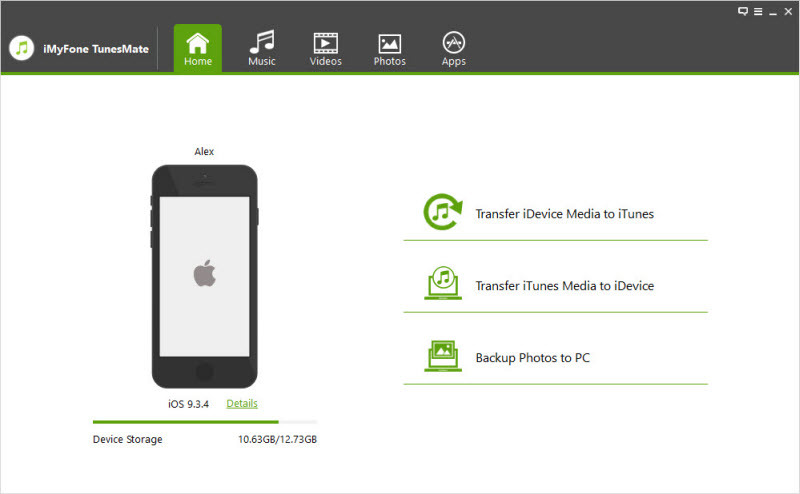 You can conveniently transfer files from iPhone to PC and vice-versa without any roadblocks. You can import files between as many iOS devices and PCs you wish to. You can efficiently select which files you want to transfer from different media. It does not require you to sync any devices to transfer files. Also, there’s no sign-up process involved. You can bypass iTunes and overcome annoying iTunes limits such as bugs and sudden crashes. Launch iMyFone TunesMate on your computer, and connect your iPad to the computer using a USB cable. 2. Click the “Music” icon on top, select the songs you want to delete and click the “Delete” button on top of the list of songs. 3. A pop-up message asking you to confirm the deletion will appear. Click “Yes” to confirm. Open the “Music App” on your iPad. Click “Songs” to display all music files on your iPad. Select the song you want to delete and tap it to play. Click the song name after which a pop-up menu will get displayed. Click the icon which resembles three red dots. Open “Settings” and click the “Music” tab. Under “Music Settings”, click the “Downloaded Music” tab. Click the “Edit” button in the top right corner. You’ll see a red minus sign on all the songs using which you can delete them one by one, or detele all songs at once. Open “Settings,” followed by “General” and click the “Storage and iCloud Usage” tab. Under “Storage and iCloud Usage” section, click the “Manage Store” tab. Scroll down to find the “Music” tab. You’ll see a red minus sign on all the songs using which you can delete them one by one. Now that you know several different ways to delete songs from iPad, you can liberate your iPad storage from untouched music files easily. All you need to do is follow the steps mentioned in all the sections carefully. The best way to delete songs from iPad is using iMyFone TunesMate and we highly recommend it if you want to delete multiple songs with the most efficient way.